The Plastics Industry Exhibition 2018 is held from October 29 to November 1 in Moscow, Russia. The International Specialized Exhibition of Raw Materials, Equipment and Technologies for the Production of Plastic Products – INDUSTRY PLASTMAS is held under the patronage of the Chamber of Commerce and Industry of the Russian Federation, with the support of professional industry unions and with the information support of Russian and foreign specialized media and industry Internet portals. 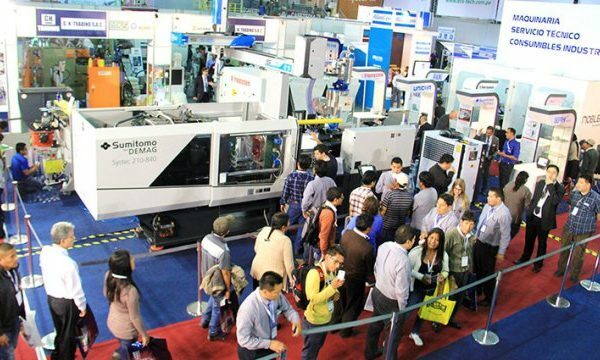 Subjects of the exhibition: equipment (primary and peripheral) for primary processing, processing and final processing of plastics, recycling and recycling technologies, equipment (including forms, dies, etc. ), raw materials and auxiliary materials, synthetic resins, polymeric materials and additives, ecologically clean technologies, instrumentation and automation equipment, plastic products, packaging: materials and equipment. “INDUSTRY PLASTICS” is part of the block of international exhibitions of the chemical industry and science, organized by Expocentre. As part of exhibitions for specialists, there will be events, specialized conferences, competitions; seminars, round tables, presentations.